Foreigner have announced rescheduled dates for a 40th anniversary UK tour. The band will perform in Manchester, Glasgow, Birmingham and – for the first time ever – at London’s esteemed Royal Albert Hall. A Foreigner fan club presale starts Wednesday, May 10 at 9am local time, while a Live Nation and venue presale begins Thursday, May 11 at 9am. General public tickets will be available Friday, May 12 at 9am. Foreigner will mark their 40th anniversary this year with the May 19 release of a new greatest hits collection that also features two new songs. The 2-disc “40” delivers 40 hits from 40 years – from their self-titled 1977 debut to today. 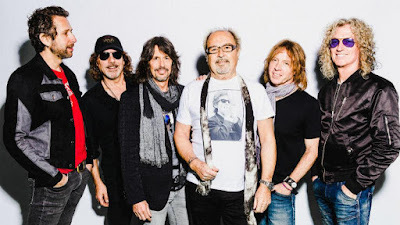 Foreigner will support the project when they kick off a European tour in Luzern, Switzerland on May 20. A North American run with Cheap Trick and Jason Bonham’s Led Zeppelin Experience will begin in Syracuse, NY on July 11.